Why are Caesar’s horns so small and misshapen? Those are called scurs – a partial horn growth that sometimes happens after the painful and horrific process of de-horning. Caesar spent the first six years of his life in a petting zoo in Montvale, NJ. Petting zoos are awful places for animals, where animals were kept in deplorable conditions, confined to small pens at all times. This petting zoo was created to be a public attraction to a well-known country farm market and grocery that closed its doors in November 2015. Caesar lived with his donkey friend Yoyo in filthy pens filled with manure and rotting food with woefully inadequate shelter, no room to run, no grass for grazing and fed an improper diet that led to nutritional deficiencies. Many of the other sick or lame animals would often be sold for slaughter instead of receiving the veterinary care they desperately needed. A before shot of Caesar and Yoyo’s tiny, filthy pen of 6 years. Thankfully several concerned staff who had been pleading for better care for years finally won the remaining animals’ freedom when the market closed its doors. For the first time in their lives, Caesar and Yoyo, the four goats Brownie, Estella, Oreo, and Noel, Fluffy the lone sheep, and hens Rita and Adrianna, are enjoying the freedom and care they’ve never known. 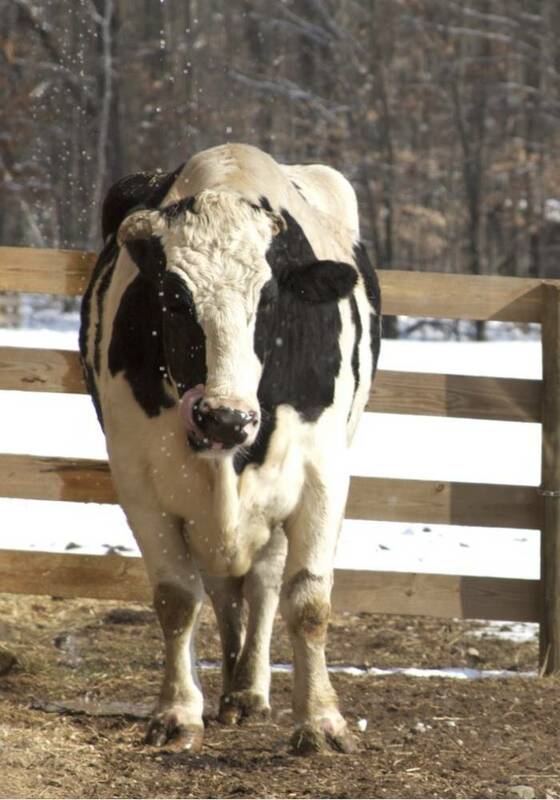 Once the Caesar arrived at Woodstock Farm Sanctuary, he was literally jumping for joy! 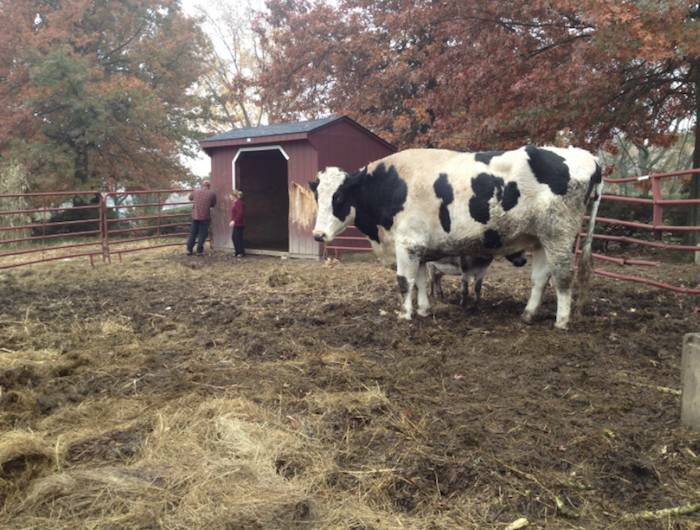 Caesar is one of our largest steer and is a very gentle giant. He is a prime example of how animals just want to be loved. 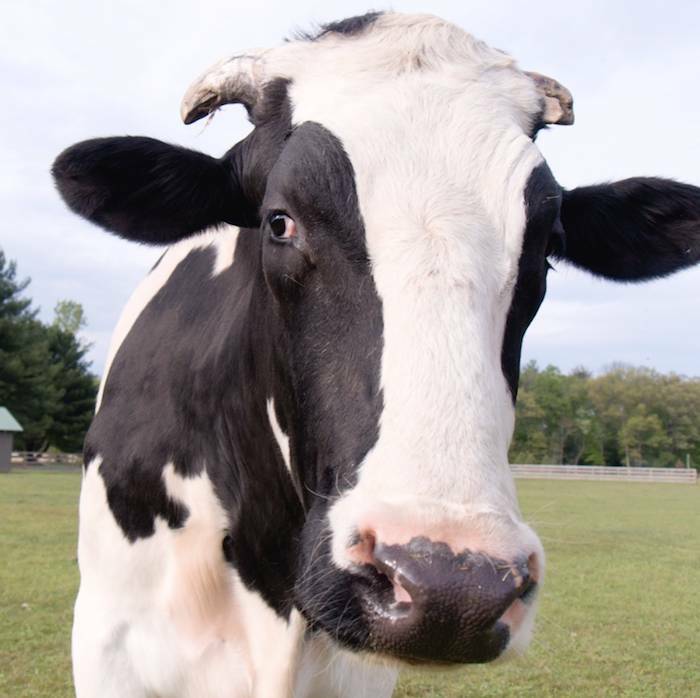 Caesar recently moved over to the big cow pasture to become friends with his own kind. 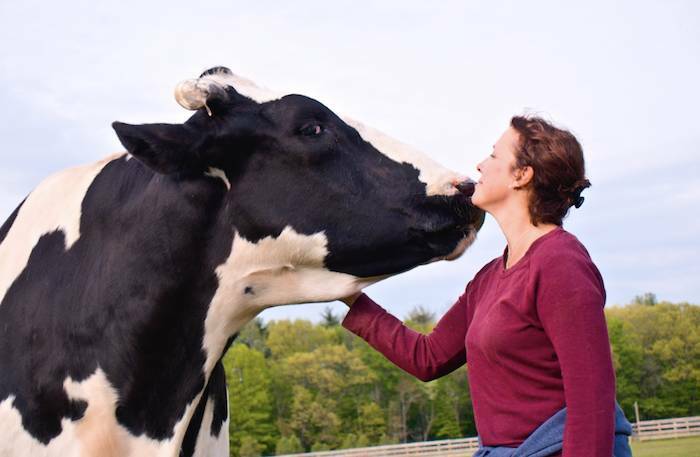 He quickly befriended all of the cows at the sanctuary, especially Dylan who he often enjoys playing with! Caesar is so much happier living in an adequately sized field and much prefers being with his own species. Yoyo also really wanted to be with his own kind, so he was transferred to Labrador Hill Sanctuary in southern New Jersey where he can form his own group of friends. Caesar finds joys in the little things. He discovered the rain dripping off the barn roof during the mild winter.